This article is about the island in New Zealand. For other uses, see North Island (disambiguation). The North Island, also officially named Te Ika-a-Māui, is one of the two main islands of New Zealand, separated from the larger but much less populous South Island by Cook Strait. The island's area is 113,729 square kilometres (43,911 sq mi), making it the world's 14th-largest island. It has a population of 3,749,200 (June 2018). Twelve main urban areas (half of them officially cities) are in the North Island. From north to south, they are Whangarei, Auckland, Hamilton, Tauranga, Rotorua, Gisborne, New Plymouth, Napier, Hastings, Whanganui, Palmerston North, and Wellington, the capital, located at the south-west extremity of the island. About 77% of New Zealand's population lives in the North Island. Although the island has been known as the North Island for many years, in 2009 the New Zealand Geographic Board found that, along with the South Island, the North Island had no official name. After a public consultation, the board officially named the island North Island or Te Ika-a-Maui in October 2013. In prose, the two main islands of New Zealand are called the North Island and the South Island, with the definite article. It is also normal to use the preposition in rather than on, for example "Hamilton is in the North Island", "my mother lives in the North Island". Maps, headings, tables and adjectival expressions use North Island without "the". According to Māori mythology, the North and South Islands of New Zealand arose through the actions of the demigod Māui. Māui and his brothers were fishing from their canoe (the South Island) when he caught a great fish and pulled it from the sea. While he was not looking his brothers fought over the fish and chopped it up. This great fish became the North Island and thus a Māori name for the North Island is Te Ika-a-Māui ("The Fish of Māui"). The mountains and valleys are believed to have been formed as a result of Māui's brothers' hacking at the fish. Until the early 20th Century, an alternative Māori name for the North Island was Aotearoa. In present usage, Aotearoa is a collective Māori name for New Zealand as a whole. 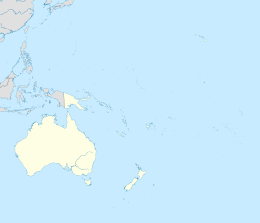 The sub-national GDP of the North Island was estimated at US$102.863 billion in 2003, 79% of New Zealand's national GDP. The North Island is divided into two ecoregions within the temperate broadleaf and mixed forests biome, the northern part being the Northland temperate kauri forest, and the southern part being the North Island temperate forests. The island has an extensive flora and bird population, with numerous National Parks and other protected areas. 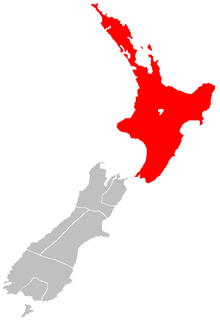 Nine local government regions cover the North Island and all its adjacent islands and territorial waters. The North Island has a larger population than the South Island, with the country's largest city, Auckland, and the capital, Wellington, accounting for nearly half of it. Healthcare in the North Island is provided by fifteen District Health Boards (DHBs). Organised around geographical areas of varying population sizes, they are not coterminous with the Local Government Regions. ^ On some 19th-century maps, the North Island is named New Ulster, which was also a province of New Zealand that included the North Island. ^ "The New Zealand Geographic Board Considers North and South Island Names". Land Information New Zealand. 21 April 2009. Retrieved 28 November 2012. ^ "Two official options for NZ island names". The New Zealand Herald. 10 October 2013. Retrieved 10 October 2013. ^ "Regional Gross Domestic Product". Statistics New Zealand. 2007. Archived from the original on 20 May 2010. Retrieved 18 February 2010.